Find tools and resources to learn, grow, and thrive in medical school. Access tools to advance your learning. We support you at each stage of your career and at key milestones of the Bridges Curriculum. Find resources for advising and career development. Find out how we're turning outstanding students into exceptional physicians. 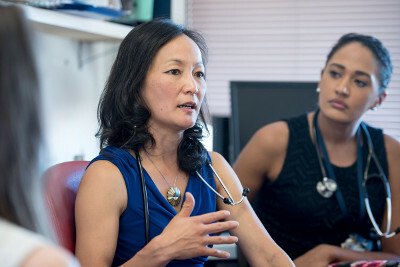 Learn about the impact of medical education at UCSF. 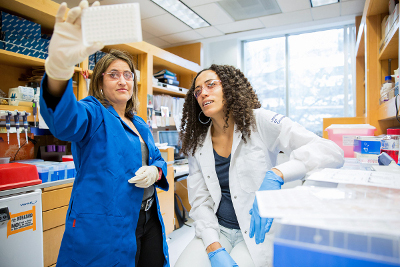 The mentorship experience is best realized in a productive collaboration, and student scholarship advances with mentorship to further your scientific endeavors. Explore Inquiry projects and research mentors. Beginning medical school, navigating the choices of career paths over the four-year journey, and eventually transitioning into residency training presents opportunities and potential challenges seen in few other professions. 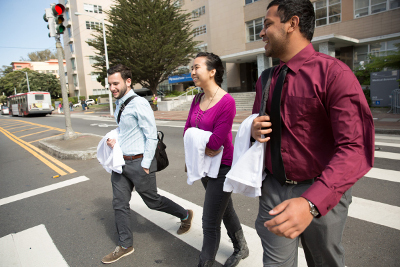 At UCSF, the Student Experience Team supports students during these transitions and helps them acquire the tools to succeed in medical school and beyond. We provide resources and tools to maximize how students thrive, and offer information for additional skills-building in cases where extra support is needed. Partnering with students, we help enhance the learning environment in the School of Medicine to support growth throughout the medical school journey. 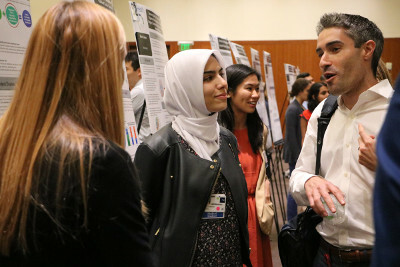 Medical students, this is your online support resource comprised of materials to support your journey through medical school at UCSF. We're here to help you learn, grow, and thrive during your medical career.